Just imagine how convenient it would be to have your own source of Fresh Kaffir Lime Leaves for your Thai Cooking. Grow your own! Its easy! For all your Thai curries, soups, salads and stir fries, Fresh Kaffir Lime Leaves are an essential ingredient. The fresher the better. These will happily grow in cooler climates inside. I have grown them successfully in Scotland! 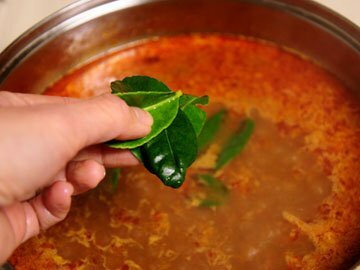 The Kaffir Lime is indispensable in Thai cooking and cannot be substituted with other kinds of citrus. The valued parts are the leaves and the peel or zest of the limes. 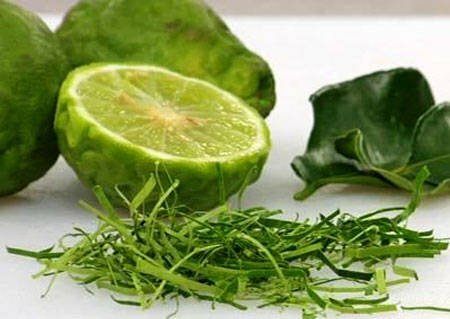 The juice is also aromatic but is not generally used in cooking since its perfumes quality can overpower light sour dishes. The dark green leaves come in double form – a more pointed top leaf joined to a more rounded bottom leaf. They impart not only a sweet, lemony scent but a wondrous flavour of their own to soups, salads, curries and stir-fried dishes. For watery simmered dishes, the leaves are bruised and added whole; for dry dishes, they are cut into very fine hair-like slivers. To sliver, stack a few leaves at a time and cut at a slanted angle with a sharp knife; or use scissors. Calamondin is a fruit tree and is very popular throughout Southeast Asia, especially the Philippines, where it is most commonly used for cooking. In the west it is variously known as acid orange, calamondin orange, or Panama orange. It is a shrub or small tree growing to 3-6 m, and bears small citrus fruit used to flavour foods and drinks. Hybrids have been cultivated for so long that the origins of most are obscure. The fruit of the calamondin resembles a small, round lime, usually 25-35mm in diameter, but sometimes up to 45mm. It has the odor of a tangerine with a very thin green or orange colored peel. Despite its appearance and aroma, the taste of the fruit itself is quite sour, though the peel is sweet. Putting the whole fruit into the mouth often leads to surprise from first-time tasters at the combination of sweet and sour. The fruit can be frozen whole and used as ice cubes in beverages like gin, tea or ginger ale. The juice is extracted by crushing the whole fruit and makes a flavorful drink similar to lemonade, and a liqueur can also be made from the whole fruits, in combination with vodka and sugar. In Asia the juice is used to season fish, fowl, and pork. Like other citrus fruits, the calamondin is high in vitamin C. In Europe and North America, the calamondin is grown mainly as an ornamental plant; it can be especially attractive when the fruit are present. It is frost sensitive and therefore limited to warm climates (e.g., Florida, south Texas, and Hawaii in the U.S.). If the plant is potted, it may be brought indoors during the winter in areas with cooler climates. 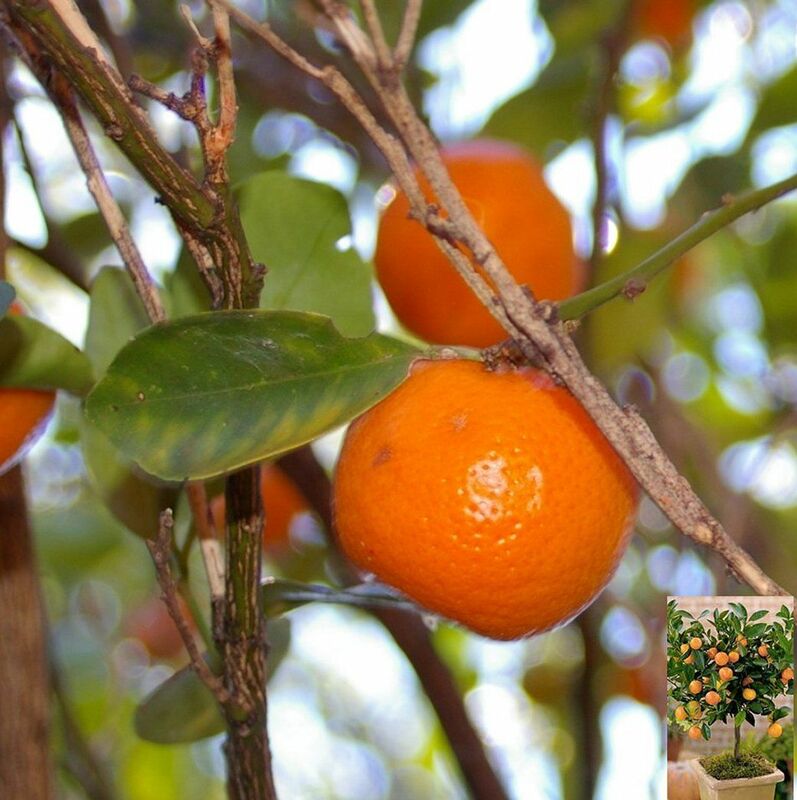 Best grown in a pot where it can be placed in a frost-free place in winter, the calamondin will do well on a cool light window sill indoors, or in a sheltered outdoor spot in summer, preferring a minimum winter temperature of 5ºc, a little higher by day. Pomelo is the citrus fruit, which is usually considered to be the ancestor of grapefruit. Pomelo is much larger than the grapefruit in size, and is known to be the largest member of the citrus fruits. Usually, a pomelo can be up to 15 to 25 cm in diameter, and can weigh about 2 to 4 pounds. The fruit is characterized by rough skin that turns pale green or yellow, when the fruit ripens. A pomelo tastes like grapefruit, but without the grapefruit's bitterness. The membrane that is found around the segments of the fruit is bitter, and so is not considered edible. Pomelo is also known by common names like Chinese grapefruit, pummelo, shaddock, jabong and pommelo. Growing pomelo trees is not very difficult, if one knows some basic information about pomelo tree and the growth conditions it requires. 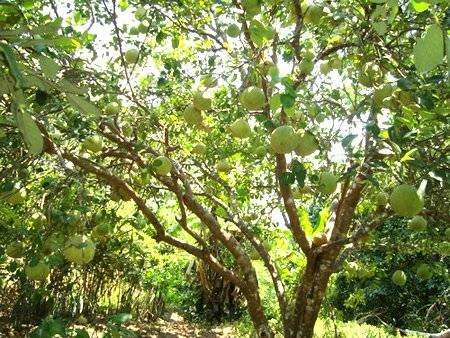 So, let's take a look at some important facts on pomelo tree and pomelo tree care. The pomelo is tropical but it will grow in cooler regions. Water the seedbed to facilitate germination. When seeds begins to germinate, expose the seedbed to sunlight. Do not shade. Pomelo tree is a large tree that can reach a height of about 5 to 15 m. The tree looks bushy with an irregular crown and several branches. The bark of the tree is yellow in color. The leaves are dark green in color with numerous oil glands that look like small dots. These glands give the leaves a shiny appearance. The leaves of pomelo tree are simple. Like the leaves, the skin of the pomelo fruit is also dotted with oil glands. The tree produces white or yellowish white, fragrant flowers. The pomelo fruit is usually round or oblong in shape, and consists of several segments that remain surrounded by a papery skin or membrane. The flesh of the fruit is very juicy and can be white to light yellow or pink in color. Being a subtropical plant, pomelo tree prefers warm climate and high level of humidity. 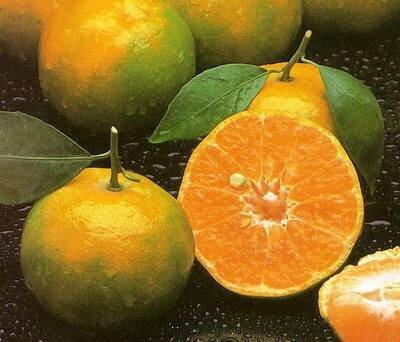 Thai Tropical Tangerines (Citrus Tangerina ) are unusual as they have green skins as opposed to bright orange ones you are used to seeing when ripe. The skin is very much thinner, green, and easier to peel. Thai tangerines are very sweet and low on acid, which makes for a smooth and sweet drink. The Tangerines are a great source of vitamin C, foliate and beta carotene. They also contain some potassium, magnesium and vitamins B1, B2 and B3. Stage 1: Combine together equal parts of peat moss, loam and sand in a bucket. Split the growing media into individual three or four-inch plastic pots until filled. Stage 2: Pack down the growing media until it's firm and well compressed in each of the three or four-inch pots. Place the pots into a watering tray, or any other container that can hold about one inch of water. Stage 3: Pour water into the tray so the three or four-inch pots will absorb enough water to become well saturated. Drain out any remaining water after the pots have been moistened. Stage 4: Poke one-half deep holes in the centre of each three or four-inch plastic pot. Drop into each hole, two to three of the Kaffir lime tree seeds. Then, sprinkle approximately one half inch of the growing media over the top of each of the holes. Cover the pots with cling film forming a mini greenhouse environment. 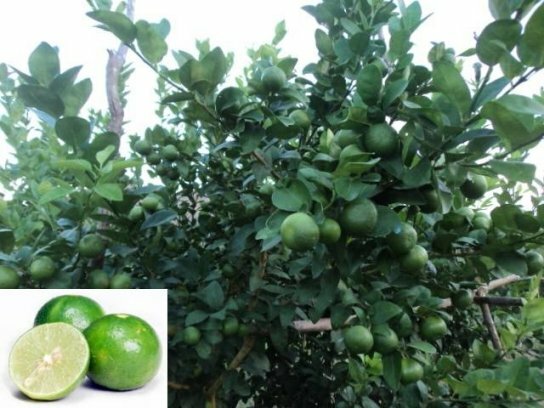 The Thai Key lime (Citrus Aurantifolia) is a citrus species with a round fruit, 2.5–5 cm in diameter (1–2 in), that is yellow when ripe but usually picked green. It is smaller, with a higher acidity, a stronger aroma, and a thinner rind, than that of the Persian lime (Citrus x latifolia). It is valued for its unique flavor compared to other limes, with the Key lime usually having a more tart and bitter flavor. It is best known as the flavoring ingredient in Key lime pie. It is also known as West Indian lime, bartender’s lime, or Omani lime. 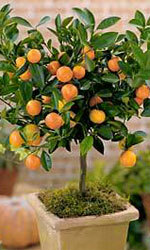 This variety of citrus can be propagated from seed and will grow true to the parent. The juciest limes you'll have ever tasted ! It takes 3-5 years before the trees start producing from seed, but when they start, you'll have limes daily. Combine together equal parts of peat moss, loam and sand in a bucket. Split the growing media into individual three or four-inch plastic pots until filled. Pack down the growing media until it's firm and well compressed in each of the three or four-inch pots. Place the pots into a watering tray, or any other container that can hold about one inch of water. Pour water into the tray so the three or four-inch pots will absorb enough water to become well saturated. Drain out any remaining water after the pots have been moistened. Poke one-half deep holes in the centre of each three or four-inch plastic pot. Drop into each hole, two to three of the citrus seeds. Then, sprinkle approximately one half inch of the growing media over the top of each of the holes. We can supply you with a wide range of traditional, unusual and tropical seeds from Thailand. Our seeds include Kaffir Lime and Calamondin fruits; ranges of Plumeria/Frangipani, Adenium, Impatiens or Ylang Ylang flowers; 5 Types of the herb Basil; Spice like Galangal and Vegetable seeds even heirloom Jasmine and Sticky rice varieties. You can be assured of the freshness and viability of our seeds.